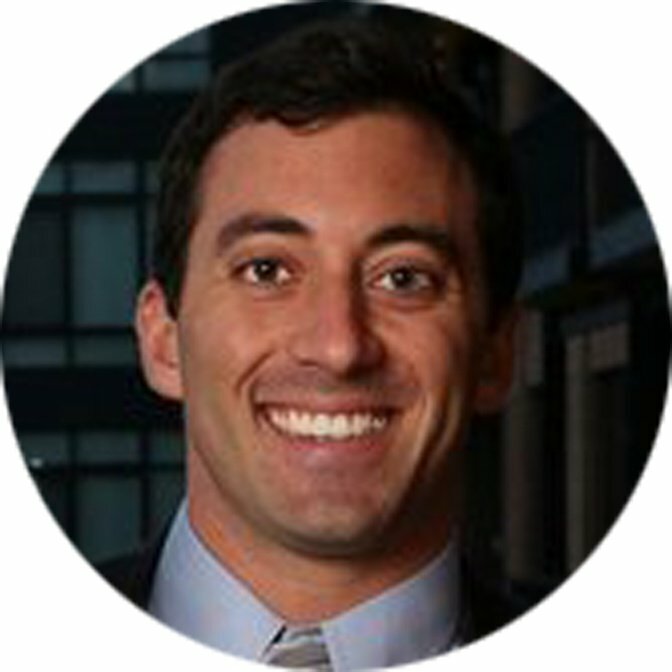 As an apartment marketer, it’s all too easy to let SEO efforts fall by the wayside. And the justifications are usually pretty reasonable… you don’t have the budget, it takes too long to see results, or you just don’t have the expertise. But these justifications lose relevance when you realize that your local search presence is bursting with every marketer’s favorite food… low-hanging fruit. 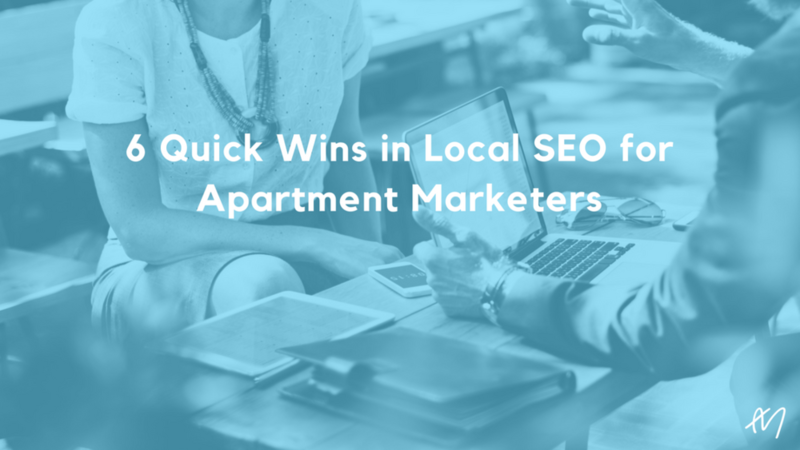 Plus, because so many multifamily marketers make the same local SEO mistakes, these quicks wins will give you a clear edge on your competitors. In this post, you’re going to learn 6 ways to take your local SEO to the next level. 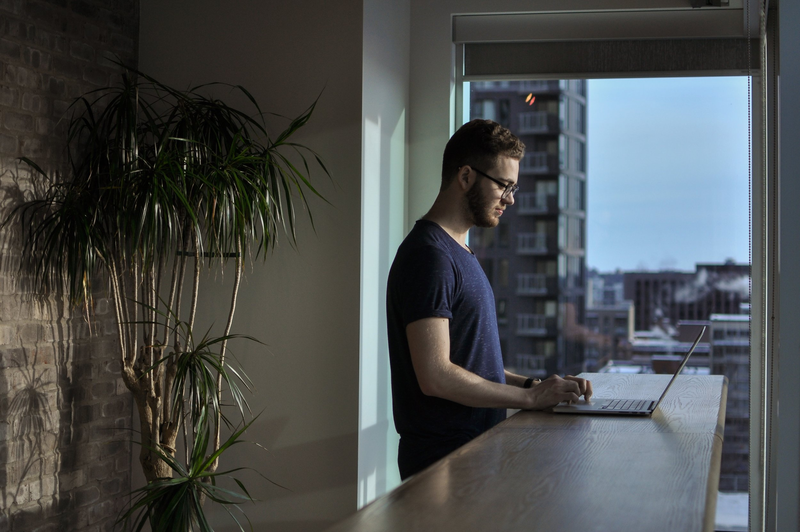 For an apartment marketer, local SEO is distinct from general SEO because it’s about reaching prospective renters in your area rather than everywhere around the country. This is a key distinction because it means that, with local SEO, you have far fewer competitors. Like the sound of reaching more renters with less competition? Then let’s get started. A big part of local SEO is as simple as making sure that when prospects search for you, your business is showing up in the best light. And since Google is at the center of all things search, any local SEO effort starts with your Google My Business (GMB) page. To claim your listing, sign up for Google My Business at this link. If possible, you should use your business email address when you sign up. Google will need to verify that you are who you say you are, which they do by sending you a postcard with a verification code. At this point, all you need to do is fill out some basic information about your business. This will include contact information and a business description. It’s all pretty straightforward... with one deceptively simple caveat. That is, make sure that the name, address, and phone number you fill out here matches the information on your website. Here’s why this is deceptively simple. While your customers might have no problem navigating that ambiguity, search engines, business directories, and data aggregators will get confused. To avoid this kind of thing, simply use the same name that appears on your website on your Google My Business Page. Once your business is verified, though, you’ll have a few more things to fill out. This is where we can really take your GMB page to the next level. In the screenshot below, you can see what a verified GMB dashboard looks like. You’ll notice that the verified GMB includes a few more options such as posts, reviews, messaging, and insights. 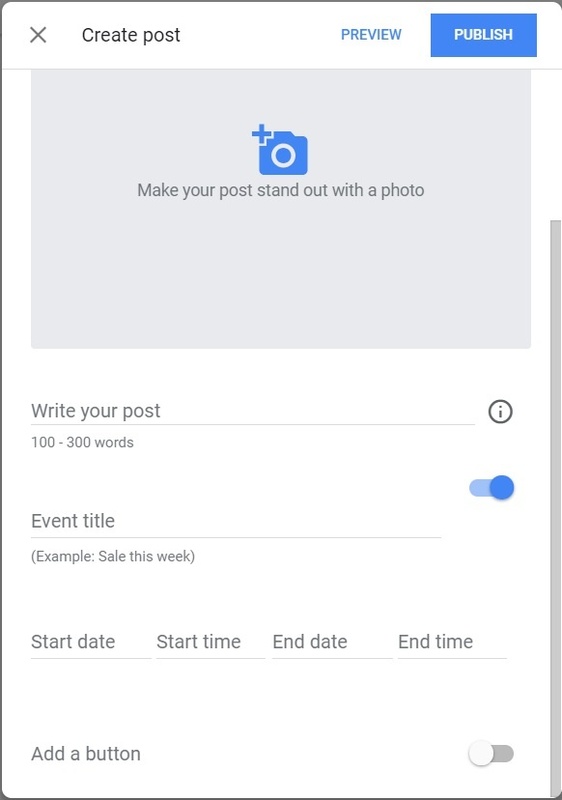 Google provides more detailed guidance on creating posts, but to create a post, all you have to do is provide photos, text, events, and a button. After you click on posts on the sidebar and then “Write Your Post,” you’ll be taken to the screen below. As you can see, there’s not too a whole lot you need to fill out. A post lets you publish your events, products, and services directly to Google Search and Maps. In an effort to ensure that these posts are based strictly on timely content, Google removes posts after seven days. A recent study posted on Search Engine Land proved that creating posts on your GMB page has a direct positive impact on your local SEO. 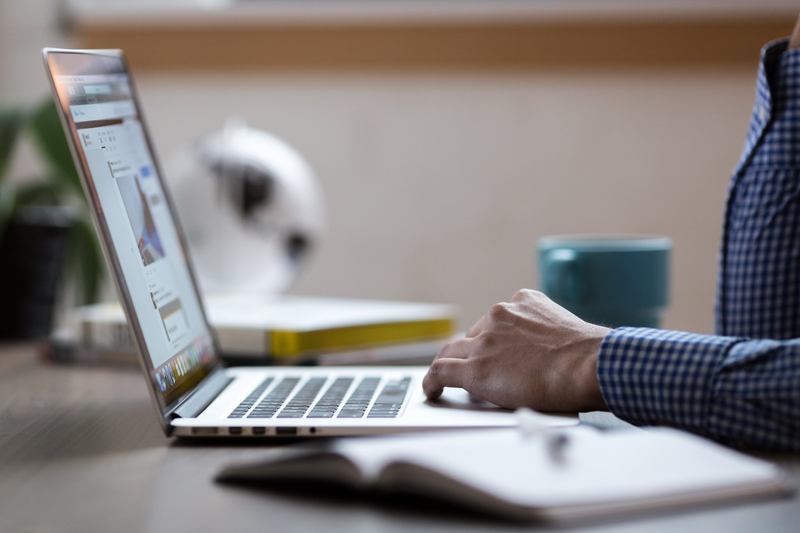 Further, relevant posts give searchers greater incentive to engage with your GMB page which increases the chance that they’ll click through to your site. All that said, posting just to post won’t do you much good. Keep it relevant and timely. Create posts to show off new listings, open houses, or resident events. The screenshot below shows the front-end of your Google My Business page. 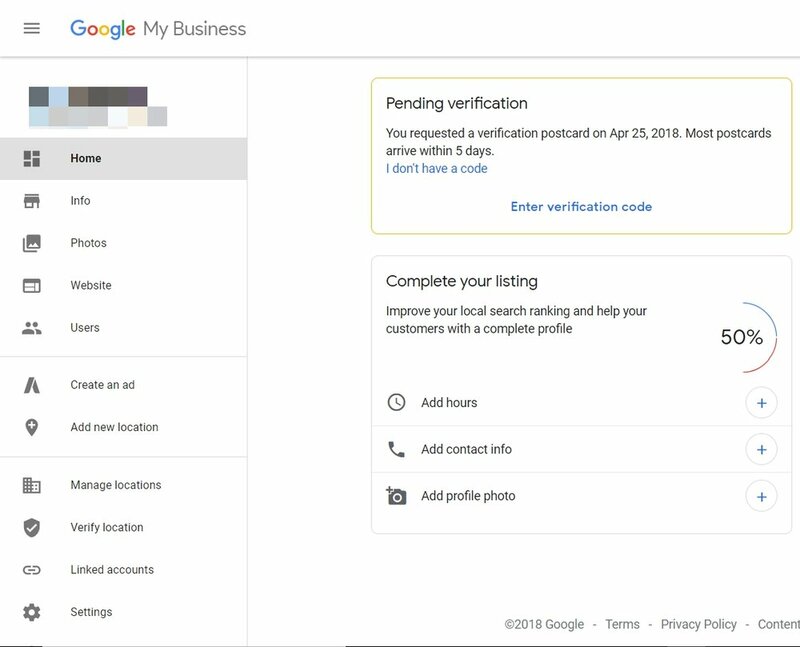 This is what your visitors will see when your GMB page comes up on Google. As you can see in the screenshot below, reviews take up a large portion of the page. Regardless of whether you have zero or fifty reviews, you need to be paying attention to them. If you’re in the camp with zero reviews, it’s time to get some. The best way to get them? While Yelp strongly discourages you from soliciting reviews, Google encourages it… so long as you do it according to their guidelines. And don’t be shy. Most consumers will oblige when asked. According to Bright Local’s 2017 Local Consumer Review, 68 percent of consumers left a local business review when asked. Considering that positive reviews make 73 percent of consumers more likely to trust your business, asking for reviews is a no-brainer. 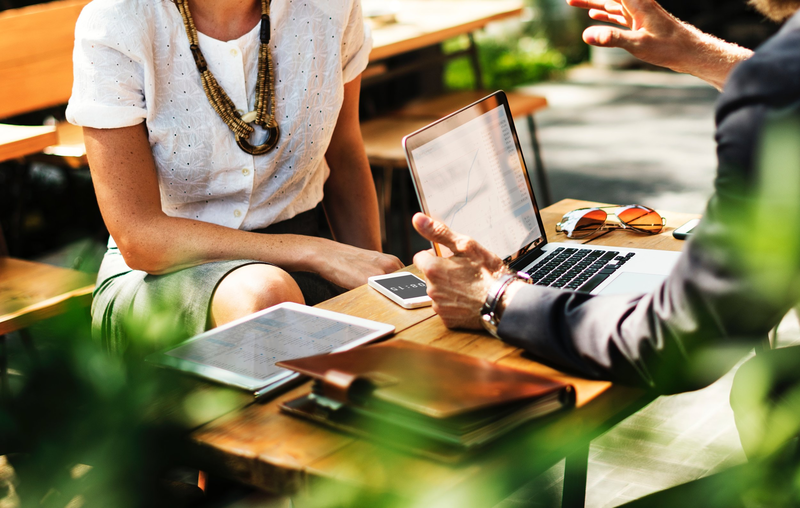 The more people that trust your business, the more likely they are to want to learn more about you, driving engagement with your content and traffic to your site. And the more visitors engage with your content, the more likely it is that Google and other search engines will push your site to the top. Once you’ve received some reviews, don’t rest on your laurels. 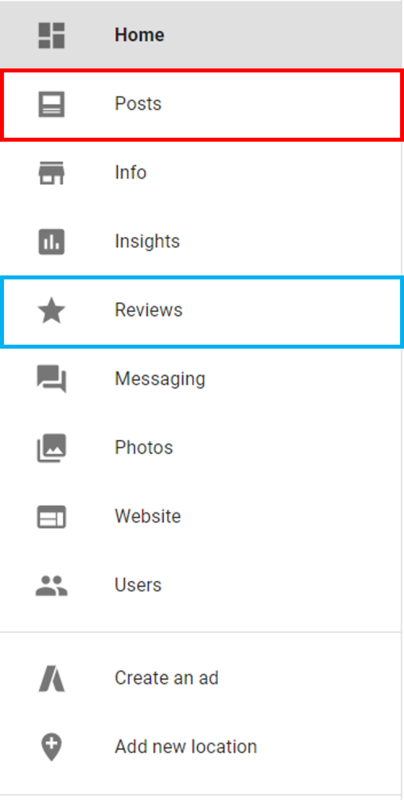 You need to routinely log in to your GMB page to check on any new reviews and respond when necessary. In fact, 30 percent of local consumers said responding to reviews was a key factor in their judgment of a local business. 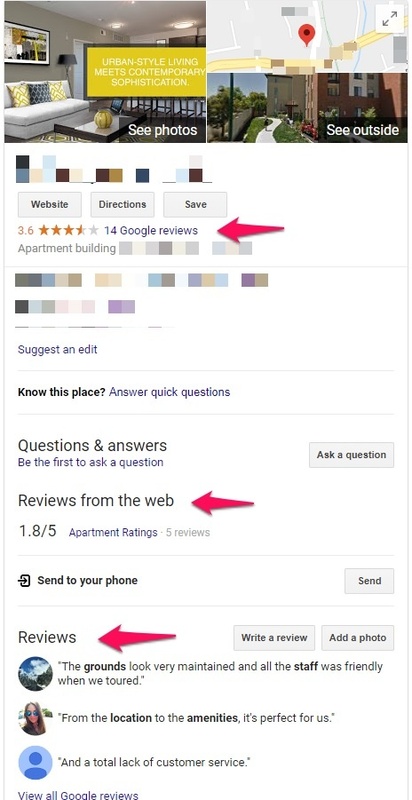 Moreover, anyone can leave a review on your GMB page… including multifamily competitors. So if you’re not regularly monitoring your page, your local SEO could be taking a hit without your knowledge. Google has clear guidelines on how to flag an inappropriate review, as well as guidance on what constitutes an inappropriate review. Some of these citations provide backlinks to your site, which have a direct impact on the visibility of your website in search results. This makes it vital for you to have the correct name, address, and phone number (NAP) across all your citations. The HOTH provides a great tool to check the status of your citations. There are two ways you can manage your citations. The first way is to use a tool like Yext to manage your business listings all in one place. This way is quick, but will cost you a few hundred dollars per year. The second way to do it is manual. Of course, this will take some time. The upside is, it doesn’t require much expertise. And if you do it systematically, you could get it done in a few focused sessions of a couple hours each. We’ve created this spreadsheet based off of a similar (much larger) spreadsheet used in this local SEO audit by Moz. Use this to simplify your citation management. On your website, reference location in the footer of your webpage. That way, you give search engines and visitors a clear indication of where your building is located without being spammy. If you advertise multifamily listings on individual pages, make sure the location is referenced in the meta description and title tags of that page. On social media, a great first step is as simple as referencing locations in hashtags and in the body of your post. If you’re manually adding citations (or using a tool like Yext), be very explicit about your location. Many citation sites will give you the option to provide keywords for your business. For those sites, make sure you’re including nearby cities as part of your keyword list. 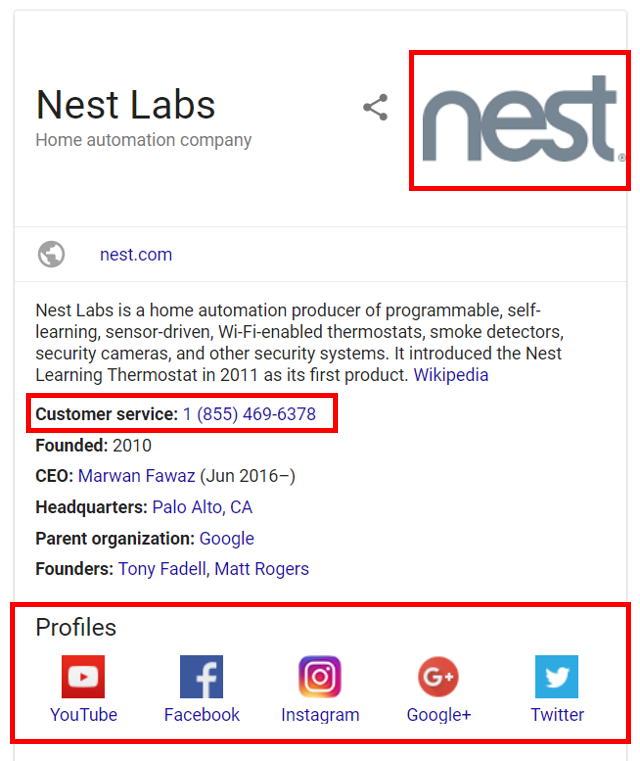 Structured data increases the likelihood that additional information about your site, like contact info, location, and social profiles will appear in the search results. An example of this is shown in the screenshot. Logos, descriptions, and social profiles make your site more attractive when it pops up in the search results, increasing the chances that searchers will click through to your site. Another benefit of implementing structured data is that you give Google the context it needs to understand your site. With structured data, you can get extremely granular, down to every listing on your website. But that would disqualify it from being a quick win. To keep it simple, there are plugins for Wordpress, Squarespace, and others that do most of the heavy lifting for you. Keep in mind, though, that these plugins aren’t perfect and they’ll require some manual tweaking to get right. That said, if you can get the markup right on your main pages, home, contact, about, etc., you’re already ahead of the game. To make sure your structured data is working, use Google’s Structured Data Tester. If you want to take it any further than the basic markup provided by plugins, consult an SEO professional. Getting started with SEO, in general, can be daunting, especially when you’re tight on time and resources. But by implementing even half of these tips for local SEO, you’ll have no problem outranking your local competitors. By the time they realize what’s happened, you’ll already be ahead of the game, ready to take it to the next level. 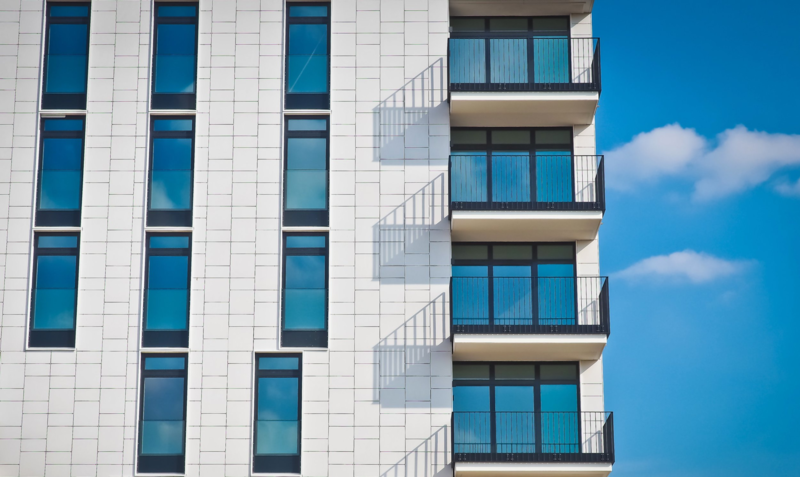 Plus, good multifamily local SEO leads to good SEO overall, so while these quick wins will give you a nice short-term boost, they’ll also solidify your position for years to come. Pick a few of these tips and try them out. When the results start rolling in, it’ll be even easier to justify dedicating more resources to truly dominating the search market.